Take the plunge in the mountains! Just ten minutes' drive from the TAUERN SPA is the Zeller See lake. This beautiful natural mountain lake has water clean enough to drink and offers plenty of great activities in and around the water for guests of all ages. An oasis in the heart of the Pinzgau mountains. Why not combine your holiday at the TAUERN SPA with a visit to the nearby Zeller See lake? The crystal-clear water is perfect for many watersports. Get ready for a new challenge and take the plunge! Zeller See lake is not all about action and adventure – it is also one of the best places to simply relax and appreciate the beauty of the mountains. A swim in the lake is a great way to refresh body and mind, especially after a tiring hike or mountainbike ride. Don't forget to admire the mountain landscape reflected on the surface of the water. Truly magical! A trip across the lake on the sightseeing ship MS Schmittenhöhe is one of the best ways to explore the Zeller See lake. Sit back, relax and admire the sight of the mountains drifting past as the boat glides gently over the water. Those in search of a little more action should head to the point where the lake meets the Salzach river. Here, whitewater rafting and canyoning are two of the most popular activities for adrenaline junkies. The Zeller See lake is by no means only interesting in the summer months. 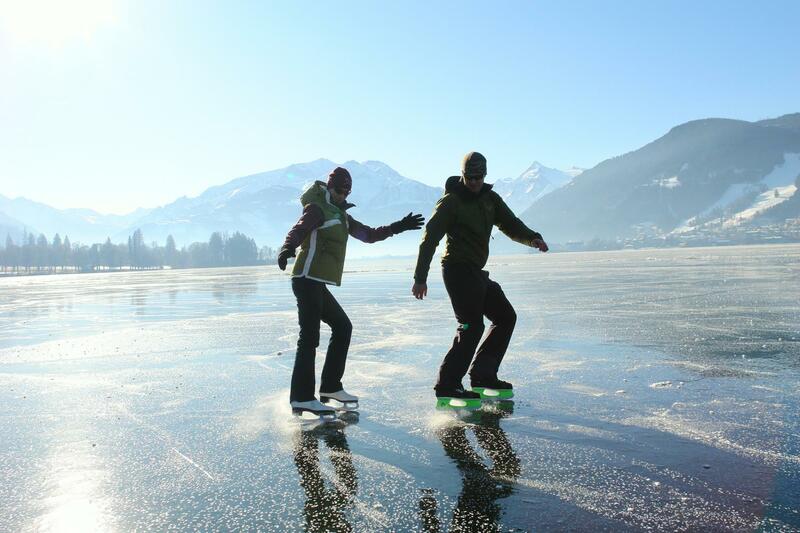 In winter there are also plenty of great activities out on the ice and in the snowy peaks around the lake. 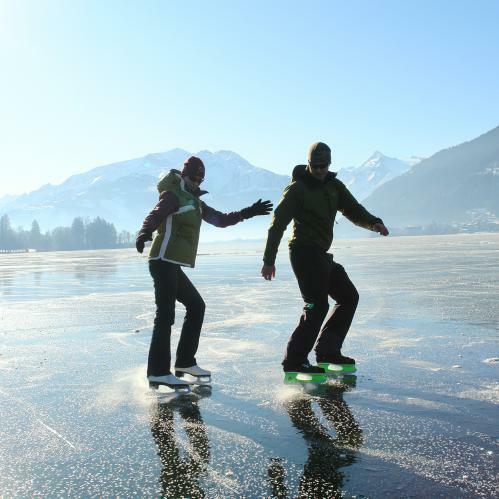 One highlight definitely not to be missed is ice-skating on the frozen lake with views of the Kitzsteinhorn and Schmittenhöhe mountains. Explore the Zeller See lake and the surrounding region during a holiday at the TAUERN SPA.